Just as I was thinking I had a long-term future with my Lincoln, fate intervened and it was totaled. Back to the hunt… I briefly thought about simply getting another Mark VIII. But it was 2006, and the last year they were made was 1998, and the newer ones weren’t exactly easy to find, as I found out. I also had more flexibility in the budget, so other choices were considered. Test drove an ’01 Audi A6 2.7T, which was a car I’d always admired. Gorgeous interior and exterior, drove well, seemed well put-together. But something about a vastly complex Audi with close to 100K miles on it made me nervous. An A4 2.8 or an Acura TL Type-S weren’t the answer either. (Evidently I was considering “A” cars at that point.) Mazda 6s didn’t do it for me either. 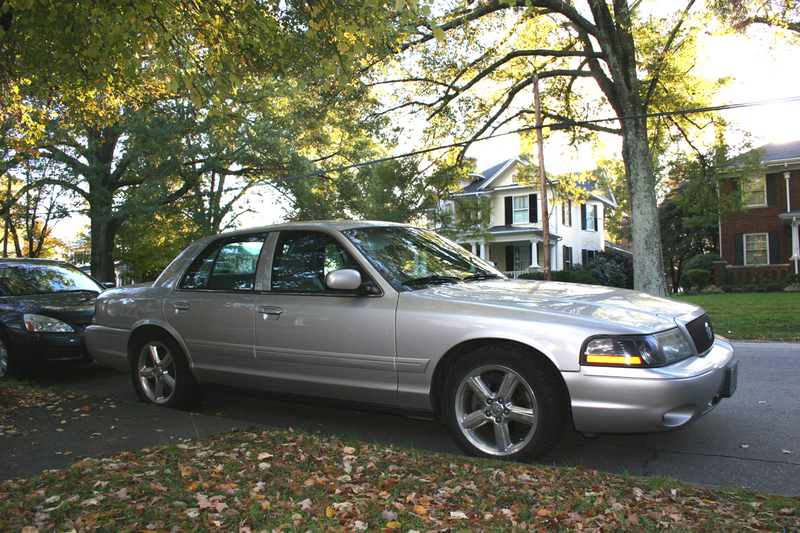 I nearly fell back into the embrace of Lincoln–drove a 2003 LS V8 and quite liked it. Good-looking, crisp handling for a large-ish car, good power from the 3.9 V8. I didn’t love the look or the layout of the dash, but it had emerged as the clear favorite on my radar. That LS was a 30k mile 2003; saw a listing for a local dealership asking quite a bit less money for a 2001 with somewhat higher miles. As the ‘03 was at the top of my budget, I decided to head over to Durham to check out the ‘01. And, when I arrived, the LS was sitting in a space along the front row. In the space next to it was a silver 2003 Mercury Marauder. Game over, LS, thanks for playing. 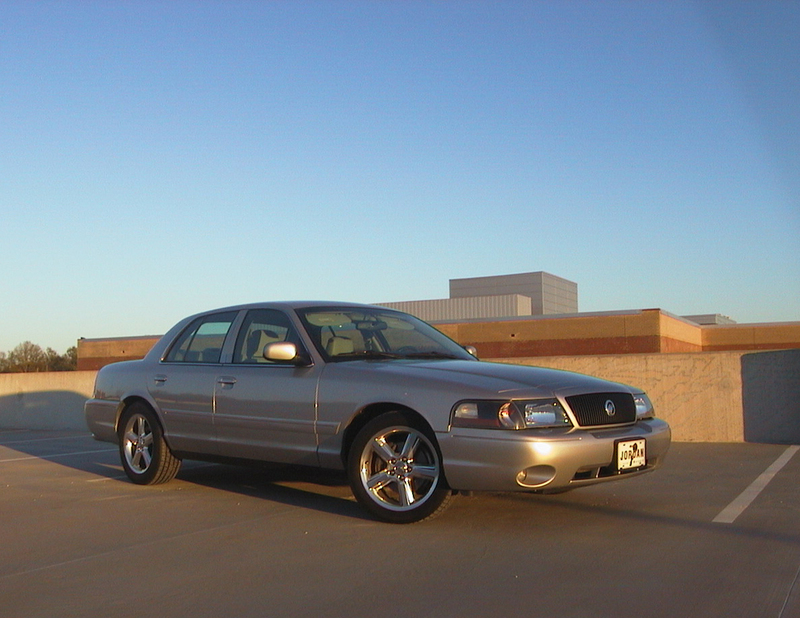 I found out what they were asking for the Marauder was about the same as that ‘03 LS over at Carmax. It was doable, and the rest was really a formality. Negotiating proved somewhat futile, as they had the upper hand due to the car’s rarity, and they knew it. It’s not like I could just go down the street and find another one. (There was only one other Marauder listed for sale in the entire state at the time.) So, the day before Thanksgiving in 2006, I signed the papers and the Marauder was mine. It was a cold night, and when I was ready to leave, they had the engine running and the heated seats cranked up to high. A nice touch, and a literal warm beginning to the relationship. The Marauder was an interesting car for Mercury to have actually produced. First shown as a concept at the 2002 auto shows (including a one-off convertible version that is still in existence somewhere), it premiered for 2003. Available (initially) in only one color, black, it was in name a revival of the 1963-65 and 1969-70 Marauders. 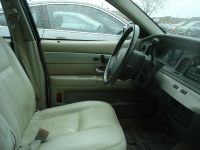 In purpose, it most resembled a belated response to the B-body Chevy Impala SS, last produced in 1996. This caused some head-scratching at the time as to why it was greenlighted, as the market for large cars was losing further ground to SUVs. It was not exactly a resounding sales success, with 11,052 examples sold over its two-year model run, 7838 of those in 2003 and only 3214 in 2004. 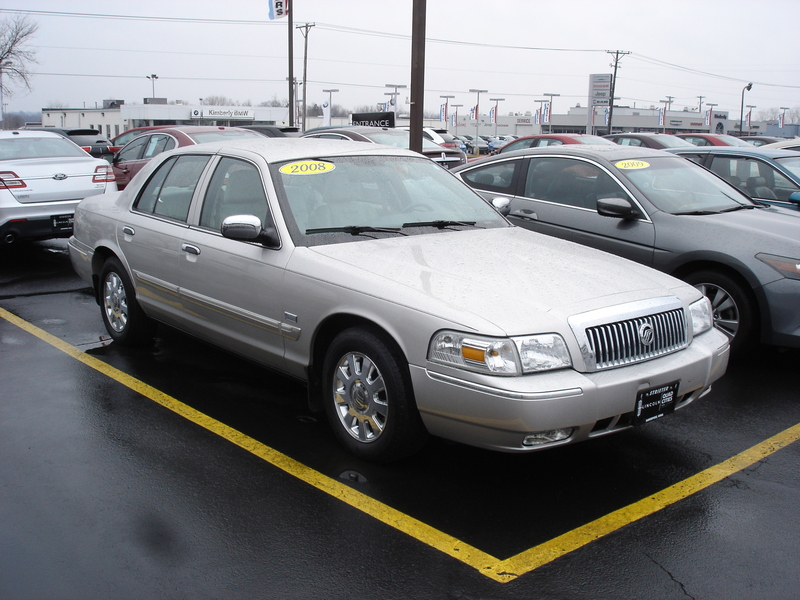 Some attribute this to the price of $35K, $5k more than a loaded Grand Marquis LS. Others seem to think it had to do with the almost complete lack of advertising for the car, which is a curious question that may never be answered. While the Marauder was more than the sum of its parts, it was almost entirely a parts-bin effort. 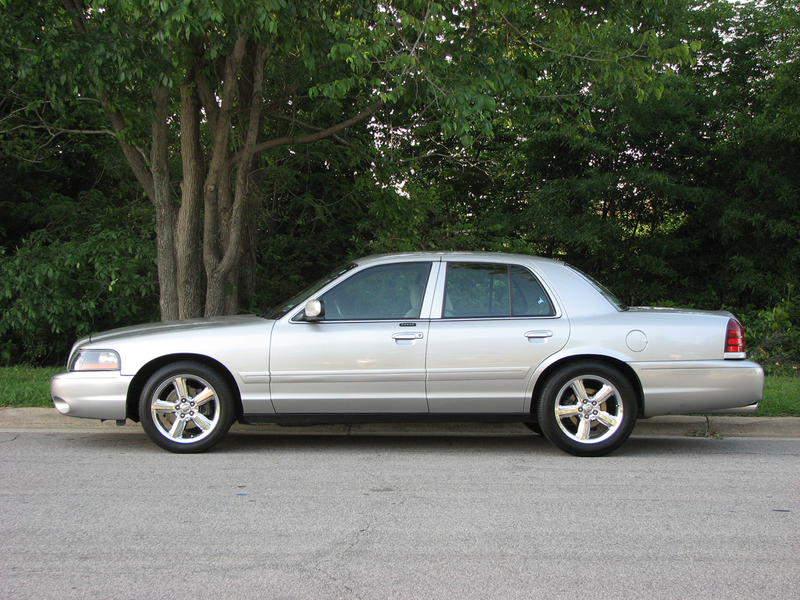 Starting with the Grand Marquis and its updated-for-2003 frame, the Marauder received the Crown Victoria P71 front suspension, rear load-leveling air springs, some unique interior and exterior trim touches, 18” polished 5-spoke wheels, and most importantly, the aluminum DOHC 32V 4.6 V8, also used in the Mustang Cobra, Mach 1, and Lincoln Aviator. 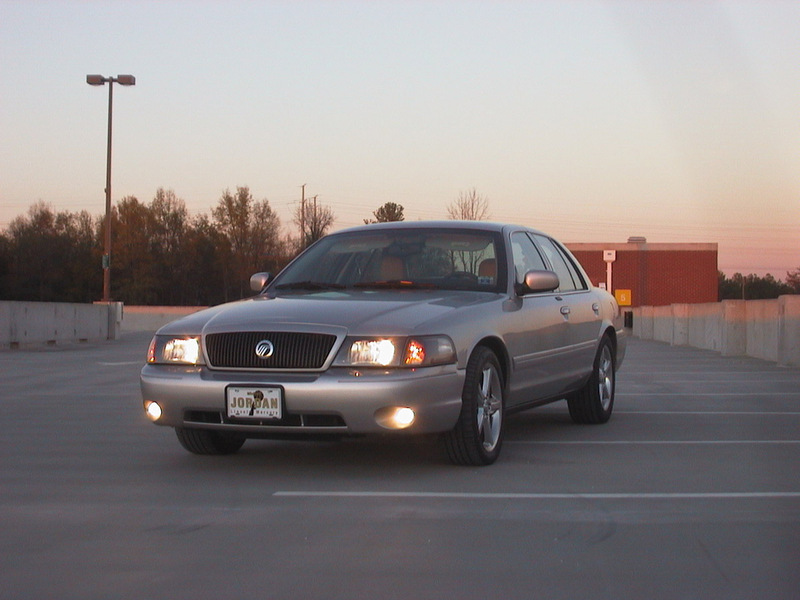 (Also the same engine as my previous car, a Lincoln Mark VIII, though upgraded in the interim.) 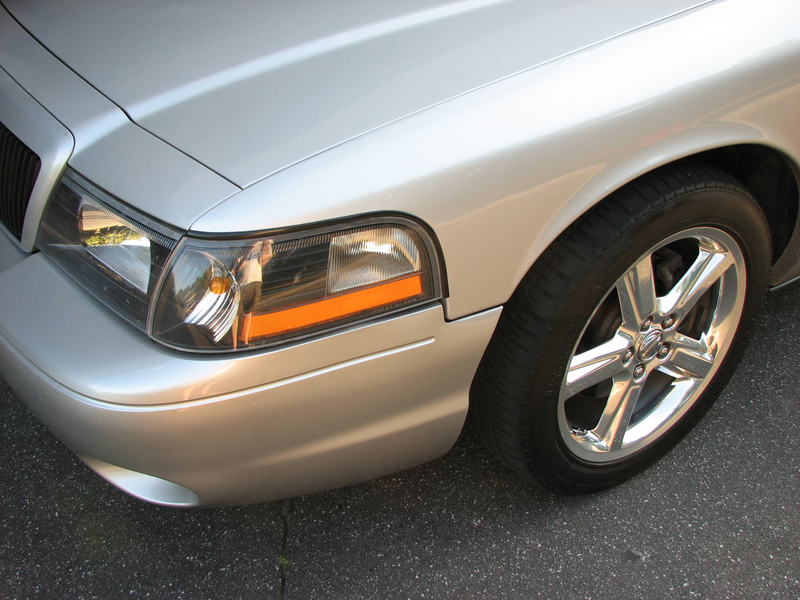 The 4.6 made 302 HP and 320 lb/ft of torque in the Marauder, which was a healthy improvement over the 220/265 figures of the 16-valve iron block version used in the Grand Marquis and Crown Vic. That power was fed through the 4R70W transmission to a limited-slip 3.55:1 axle, good for a 0-60 time of 6.8 seconds. Not bad, and certainly faster than any other Panther before or since, but the DOHC engine’s forte was never off-the-line performance. The midrange was much more impressive as the engine hit its stride, and it pulled strongly up to triple-digit speeds. The heavy-duty suspension and updated rack and pinion steering kept the car much better buttoned-down than the usual floaty Panther experience. More so even than performance, though, this car was about attitude. 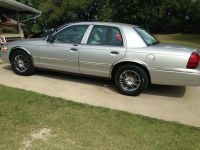 While the Grand Marquis body caused a lot of “grandpa car” comments from my friends, probably due to the fact that such comments invariably made me mad, the rest of the car departed sharply. 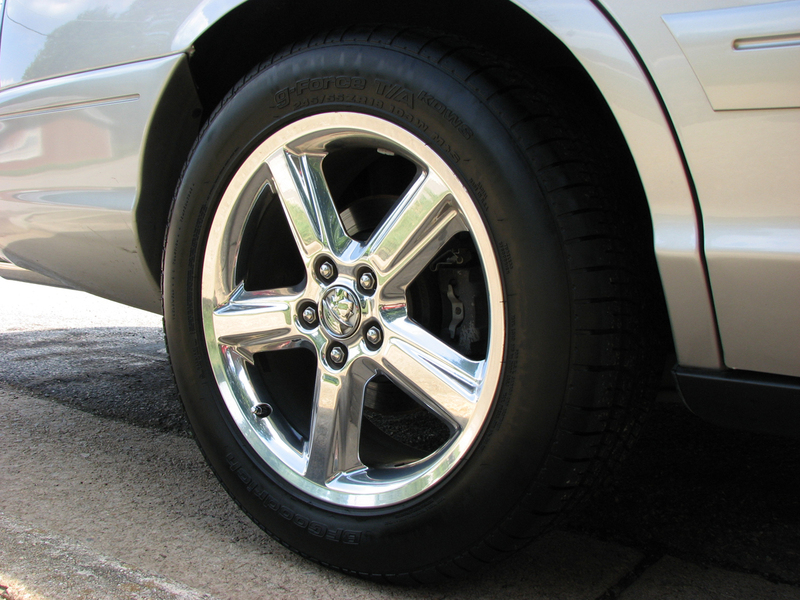 The polished 18” wheels were attention-grabbing, and the car had a slight factory rake accomplished by taller sidewalls on the rear tires (245/50 ZR-18, as it turns out a nearly impossible size to find.) The wheel centers featured a sculpted “God’s head” Mercury logo, a subtle callout to the ‘60s versions and a big improvement on the “3 hockey sticks” Mercury emblems in use at the time. Along with the black grille, the non-reflective parts of the headlamp surrounds were blacked out, a subtle but very effective difference, and a deeper front air dam held a pair of fog lamps. 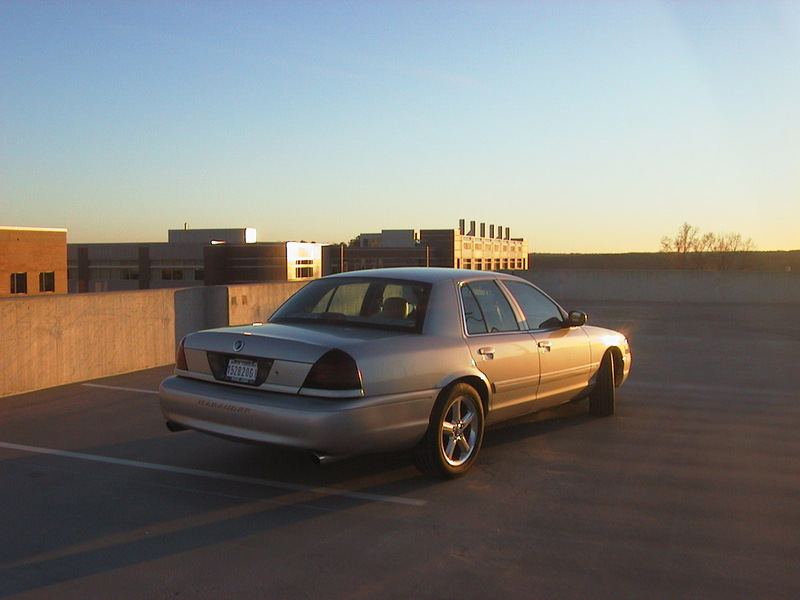 Out back, smoked Crown Victoria taillights replaced the standard Grand Marquis pieces, and the rear bumper cover was embossed with “Marauder” lettering. A pair of prominent chrome exhaust tips for the true duals finished out the look. While it worked best in black, even on this silver car it changed the attitude from grandpa to modern-day muscle car. Why do I always take my interior photos at night? 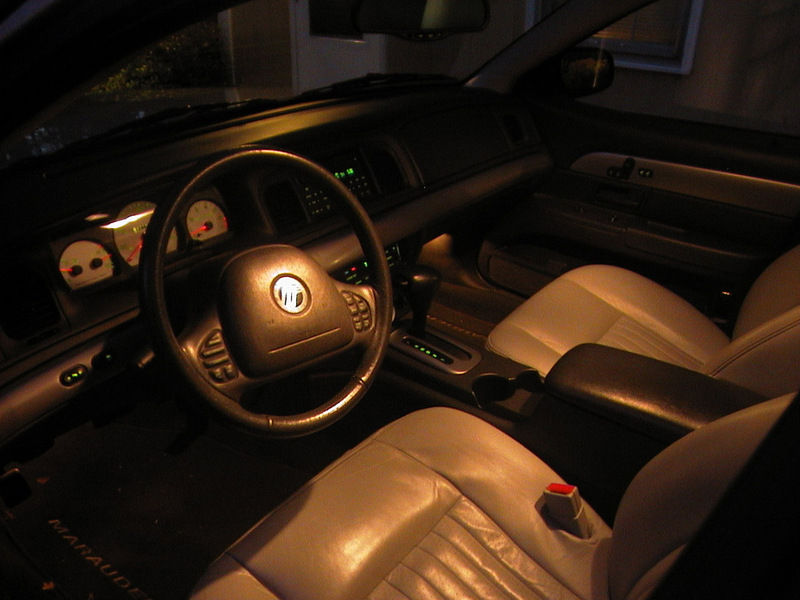 Inside, there were far fewer changes from the standard Grand Marquis. 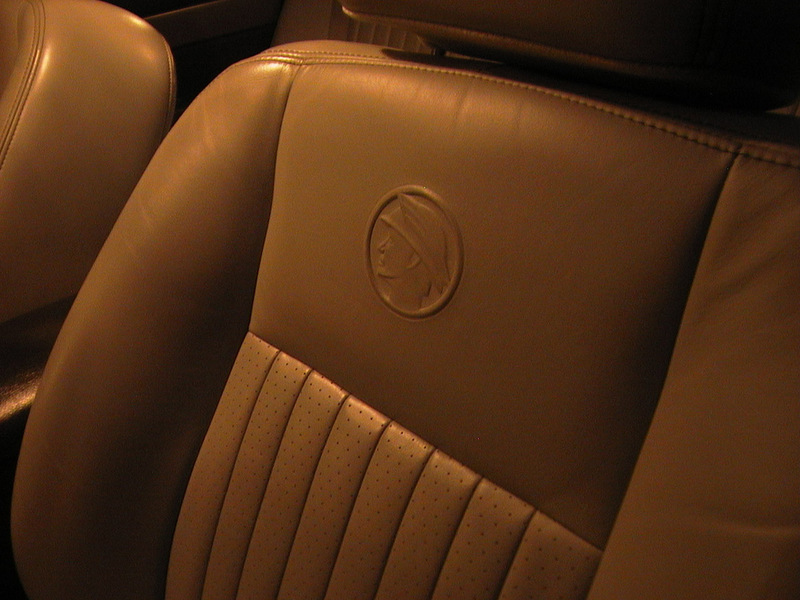 Bucket seats with a console replaced the bench seat, upholstered in a nice-quality leather with the god’s head logo embossed into the upper cushions. Fake aluminum trim replaced the fake wood trim. It was equally unconvincing–how hard would it have been to do piano black instead? The gauges were silver-faced and included a tachometer, displacing the oil pressure gauge and voltmeter to auxiliary units in the center stack. Everything else was standard Panther fare, and one of my chief complaints was the flat, boring, un-ergonomic 1995-vintage dashboard. At least the seats were quite comfortable, with power adjustment and heaters standard, along with automatic climate control and a stereo with 6-disc trunkmount CD. Much like my previous Mark VIII, the Marauder was a born cruiser. It was composed enough for its size that I relished the occasional twisty road–much like the adage about driving a slow car fast, to me there is some joy in making a big car dance. But its real forte was the open road–the ride was comfortable, the seats supportive, and the passing power nearly endless. Press the narrow pedal and the response was instantaneous. Plus, as big as it was, it could carry four people in complete comfort and five without too much trouble. 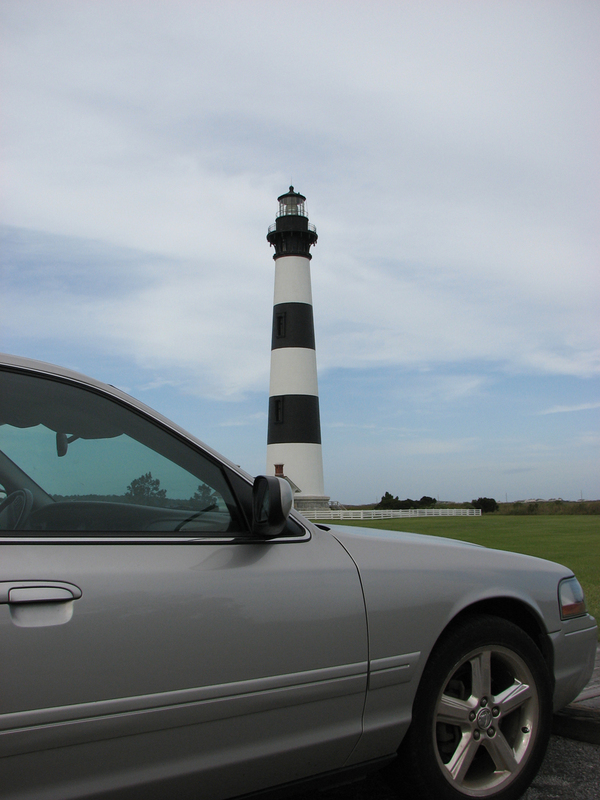 It was the type of car that invited road trips, and we embarked on more than a few. It took me on one fateful trip in particular–in July of ‘07, I got a call from a friend that he was going to the beach for a few nights, inviting a girl who he was trying to date. She agreed to go with him, on the condition that she could bring a friend along. So I was requested to serve as wingman for the weekend, with the encouragement that “you might actually like her”. The friend turned out to be the woman I would eventually marry, so I guess my buddy was correct that we might hit it off! It was a great car to live with, for a long while. By far the newest car I’d ever owned to that point, just a bit over 3 years old when I bought it, it had rolled off the line in Windsor, Ontario in May of ‘03. Reliable, comfortable, and powerful, and it was the kind of car that would always elicit a second look as I walked away. While it required premium, gas mileage wasn’t as bad as you might expect for 4100 lbs. of full-size sedan; I generally got around 15 MPG city and 22 highway. Plus my work commute was still extremely short. The Marauder gathered quite a few compliments, definitely more so than any car I’ve owned before or since. I got involved with the web site that served as the unofficial owners’ club for these cars and met some local guys who had Marauders they had done some custom work to – one was making almost 400 HP to the wheels with the help of a blower and headers. Seemed like the kind of thing I’d like to do eventually, but while it was my daily driver, I wasn’t going to do anything extreme. The Marauder finds a friend in Savannah, GA. Never did see the owner though. In May of ‘09 my future wife and I moved in together, in a neighborhood about halfway between our respective jobs at the time. My commute increased to about 20 miles each way, still relatively short. Then my position was eliminated at work and I was moved to a much lower-paying job. Better than no job at all, but money got a little tighter. Around the same time, my wife switched jobs. Her new gig was higher-paying, but it involved a lot of travel within town, often into not-so-nice neighborhoods. As her car was not aging well by this time, not wanting her to be stranded in a bad part of town, we traded temporarily. For the year she had that job, she drove the Marauder. Apparently she got quite a few compliments on it, though very few people expected a woman in her late 20’s to be driving that car! After about a year her agency reorganized and she was out of a job, and decided to go back to school and wait tables in the interim. She drove the Marauder nights she worked until close, and I drove it on days she was off or had an early shift. It was good to have my car back, at least part-time. But by this point it was nearing 100,000 miles, and a few gremlins had started to rear their head. First to go was the radio–one day, I noticed I had no FM reception; oh well, the CD changer still worked. Next, the diverter in the HVAC system went out, disabling the dash vents. It still blew cold or hot air, but both emerged from the windshield and footwell vents. I could live with that, as evidently a faulty control module was usually responsible. Plus the vents were correct for heat, so it was only an issue in the warm months. As a matching issue for the cold months, the bun-warmers stopped working. Heated seats are hard to give up once you’re used to them! Around that time, it developed a “stutter” on acceleration at speed. Chased my tail on that one for a while–replaced the plugs (which was a little scary given the possibility of cross-threading in the aluminum heads), wires, and a couple other ancillaries to no avail. The problem ended up an intermittently bad coil on the #7 cylinder coil-on-plug unit, a cheap part that caused me grief for much longer than it should have. One road trip saw a rough running condition that got steadily worse until the car was cutting off at stoplights, while we were in an unfamiliar area. After it stalled while trying to merge onto Interstate 64, nearly getting us rear-ended, I’d had enough and managed to find an auto parts store. Turns out the breather tube for the PCV system had torn at a poorly-placed right-angle boot, causing a massive vacuum leak. The part was only available from the dealer, who had closed, but a helpful fellow at the Advance Auto discovered that I could use a length of heater hose to replace the whole breather tube assembly as a temporary fix. That “temporary” fix worked so well that I never bothered to replace the thing! Through all this, I was still proud of my Marauder. It still made me feel good when I walked up to it after a long day, still felt right when I slid behind the wheel, and still looked damn good when freshly washed. But events were starting to conspire against it. By late 2011, money was tight. I’d taken a second job, evenings and weekends, but between that commute and the one to my primary job, gas money was forming an unduly large part of our budget. Plus the Marauder was over 115,000 miles, and while all the gremlins were still small, I was concerned about larger ones, especially considering it wasn’t quite paid off. Plus, my girlfriend and I had been together for over four years at that point, and I wanted to make sure that didn’t change any time soon, but I didn’t have anything close to the money to buy a ring. Reluctantly, I came to an unpleasant conclusion. I explained to my girlfriend that I was tired of the gas bills, concerned about future repairs, and wanted to get her out of her unreliable old car. So we’d look for a new car that would be hers in the long run, I’d take over her old car, and we’d sell the Marauder. I didn’t mention the engagement part. To her credit she tried to change my mind, but my decision was made. We shopped around and narrowed it down to a couple of choices, and the dealer who gave us the best trade-in value got the sale. It hurt; I’d loved this car and I knew I’d miss it. Hell, once the decision was made, I missed it already. The night before we signed the papers I spent a while just sitting in the Marauder on the driveway, reflecting. But it needed to be done, and two days before Thanksgiving 2011, one day short of precisely five years of ownership, I handed over the keys. In retrospect, sometimes it seems like I made the wrong decision to sell that car. Maybe I could have handled my money differently and found a way to hang onto it. Hard to see the past clearly, and what seemed like the right decision, the only decision, at the time looks a little questionable from a vantage point four years later. But maybe it was the only correct decision. I know I made the right decision on the girl–I proposed at midnight on new year’s day 2012, and we were married in May 2013. No regrets there. Just a few weeks before it was sold. I’ve never been able to find out where the car ended up. I checked the forums and classifieds to see if it ever popped up for sale, but as far as I know it never did. Usually trying to track down a car’s whereabouts is an impossibility, but with only 417 silver ‘03 Marauders out there, I figured I might beat the numbers. I could always get another someday–black this time, like they all should have been. Values are holding steady but they haven’t started to appreciate, quite yet. It might be rather collectible in a few years’ time though, as the last best evolution of the Panther. But right now, I just know it was a great car to own for five years, and I hope whoever got it next enjoyed it as much as I did. Another good story, I’ve always had a soft spot for the Marauder myself. I’m not a big fan of the final gen Panthers, as I always thought they looked too bulbous and rotund for their own good, but for some reason the Marauder looks really nice to me. I guess it’s similar to what Chevy did when they turned the Whale Caprice into the Impala SS, there was enough there to improve on the basic shape that it actually looks really nice. Believe it or not, of those very rare silver ones, I actually saw one of those myself. It was in the parking lot outside of the annually held gun show me and my dad sometimes go to, and I was shocked when I saw it. 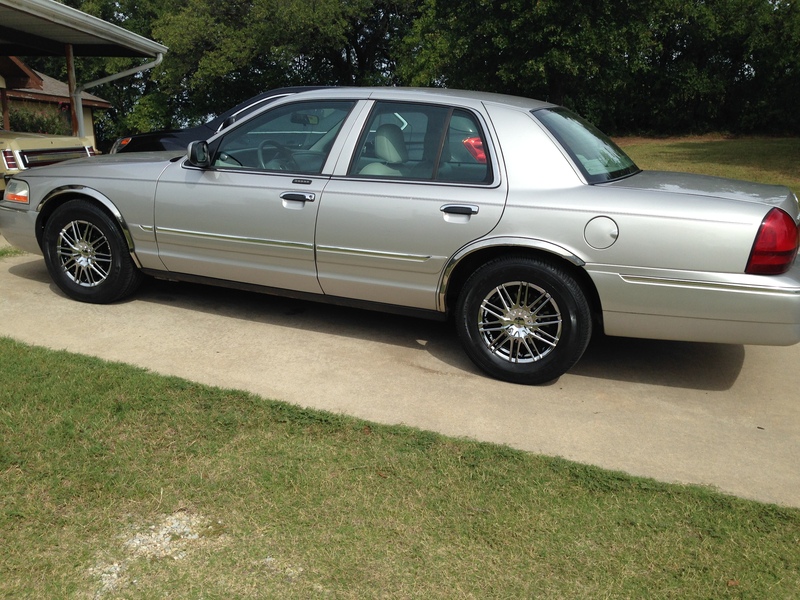 I just thought it was a regular Grand Marquis, but then when I saw the God’s Head hubcaps with the low profile tires and I knew it was something more. I never thought they made Marauders in silver before, and I never thought the first time I saw one would be in those circumstances, but it was really cool. I didn’t snap photos of it and I regret doing that, but it was awesome nonetheless. Nice article. I was a fan of these when they came out and was considering purchasing one. I deferred when I found out they didn’t have the earth-mover torque I was looking for. Nice engine – but better in a Mustang. I think a supercharged version of the 16 valve engine with torque in the 380 ft lb range would have been a better choice. One of the mechanics at one of our local tire change outlets has a quicksilver Marauder as his foul weather car. His fair weather car? A late 1980s IROC-Z. I wonder which one he actually likes better? 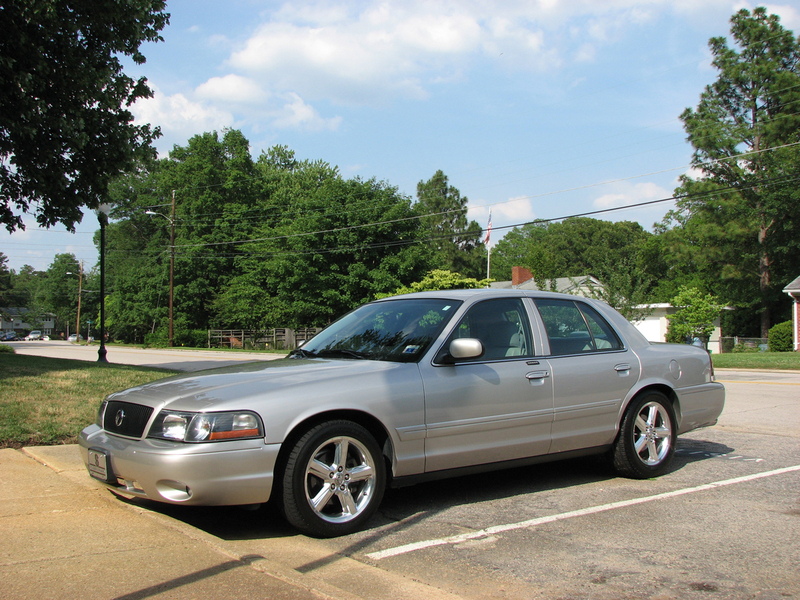 I currently drive the closest you’re going to get to this in Crown Vic trim – a 2006 Crown Vic LX Sport. Ironically, it was a “need to buy” purchase due to my previous car (’97 Grand Marquis with only 52,000 miles) being totaled (not my fault, btw). Mine is also Silver Birch, but with a cloth roof in black. The interior is black with the buckets/console configuration. I was particularly interested in the “problem areas” section of your story. Although my car doesn’t have the HP, isn’t it basically the same engine? It must be close, as mine will seem to take off in flight at the slightest tap of the pedal, too. I guess all I can do is keep my fingers crossed and hope for the best as far as issues go. The SOHC 4.6 and the DOHC 4.6 are quite closely related. The bottom end is an iron block in the 16V engine, but aluminum in the 32V (except for the “terminator” 03-04 Mustang Cobra which uses the iron block with the DOHC heads). But other than material choice and a few related items, the blocks are nearly identical. Head design is, obviously, completely different. FoMoCo has a knack for spec’ing odd tires sizes. I drove a mid-90s Ranger that called for 225-70-14, as I recall. The tire store basically said they could get Firestone or a no-name brand, and that was it at the time. Panthers are really nice cars. That Silver Birch is a great color too…the tunneled-in fog lamps are a lot more obvious on the lighter colored car…I had never noticed that before, but I have also never seen a Marauder that isn’t black. I completely agree with your decision to part ways with it when you did. I’ve hung on to cars longer than I should have and it never ended well for me. Besides that…it ultimately allowed you to get the girl…which is far more important! Excellent article. I have loved the Marauder since I first read about it in Motor Trend when I was 16. I looked for one while shopping for a new car a few months back in there literally was not one in the entire state of Ohio. 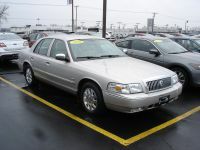 I did end up finding an immaculate 2004 LS Ultimate Edition Grand Marquis with only 40K miles that I love, but I still lust over those Marauders. I especially love that gods-head emblem. I’m curious as to what model replaced the hot rod Mercury in your fleet though…again very nice, engaging article. I’ve always thought there was nothing wrong with the Panther platform that the Studebaker Lark treatment – chop 3 feet off the rear overhang (raising deck height to maintain trunk space) and get it a few inches narrower on the same track width and passenger room – wouldn’t have fixed. It was a good platform but just plain too big for 90% of sedan buyers, and fleet sales meant Ford had no reason to do anything about it. Now that’s interesting. In theory I agree with you on giving it the Lark treatment – much better size and proportions – but I have to wonder whether the result would be acceptable in a 21st century market. My gut reaction is ‘probably not’, unfortunately. A more honest M5 alternative? I wonder if the individual seats in this car are the same ones installed in the last generation Town Car? Would make a super cool cop cruiser. Just lose those rims. You don`t mess with the Marauder. Florida Highway Patrol actually bought a batch of them to use as unmarked cars. What a beauty, too bad you didn’t hang on. People down the block have a black one an they say they plan to keep it “forever”. Relative of a friend had/has one. He was in the Air Force and managed to drive it on the runway at his base. I have no idea how he got away with that but he said the top speed was astounding. I do not recall the number he said but I do remember thinking no sane person would drive that fast in a Mercury no matter what the setup. Hope dome of your future COALs turn out to be as good. Top speed was limited to 117 by the factory to avoid driveshaft damage due to vibration. I am assuming the police versions of the Crown Vic had a strengthened driveshaft. For comparison, all other Panther cars would have been limited to around 110 due to S-speed rated factory tires. I never had a chance to test the top end, but it still had plenty left at 105. The police versions had a one-piece driveshaft IIRC, but I thought that was also used in the Marauder. Perhaps that was one of the changes between the “300A” and “300B” series, a late ’03 update that was concurrent with the new colors being offered. All Panthers have a one piece drive shaft. Marauders and P71s use a longer tail shaft housing to be able to use a slightly shorter driveshaft to increase its critical speed. However that was a limited improvement so police cars with the 3.55 gears got MMX or Metal Matrix driveshafts for a few years, that increase the critical speed by using a different alloy to change the stiffness. It is a drop in replacement on a Marauder if you can find one. I’ve always liked the Marauder. In terms of tracking it down, have you considered running a carfax/autocheck on it? Not a bad idea at all; don’t know why it never occurred to me. Foolishly I never photographed the door tag that has all the model info on it, but I do have a photo of the original window sticker (which came included with the car) that has the VIN. You obviously loved the car, from all the photos you took of it. This is a beautiful car and well written account of your experience with it. I agree this is one of these rare modern cars that will be collectibles. They reached into the parts bins and pulled only the best to bolt together an outstanding model of a hugely successful platform. No surprise that people hang on to them. And congrats for having found your girl and having shared this car with her. It was supposed to have fewer parts bin pieces but the bean counters nixed the specific sway bars and forced the use of the P71/HPP H pipe on another wise unique exhaust system that chokes a few ponies out of the output. Ironically these cars were built in Canada but not sold there. They were strictly a US market thing. This was a shame because Canadians got the Impala SS. Still, a few folks in Ontario have imported then privately and the show up occasionally. 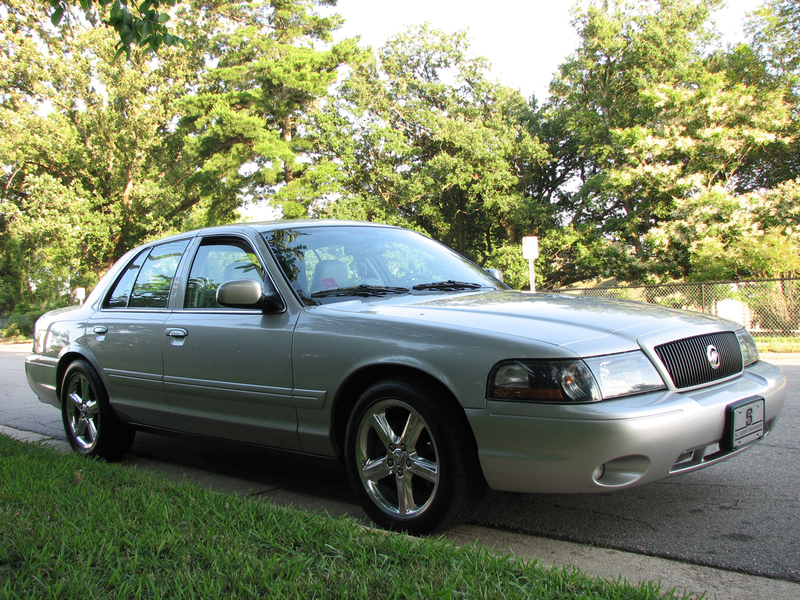 Yes they were sold in Canada but it was a Ford Marauder, sold alongside the Ford Grand Marquis. The tell is the speedo that marks off distance in KMs and KPH as the main reading. The were also sold in the Gulf Council states the only place where you could by a 2012 Panther. A few Marauders did make it to Europe though I believe those were private imports. Not true! I worked as a car detailer in my youth and a business next door had a black on black Marauder. I remember that it had a metric speedometer and it was a Mercury, not Ford. Another customer had a GM Ultimate, it was also sold as a Mercury. Mercury was discontinued in Canada before the Marauder (and GM Ulitmate) were brought to market so they were sold at Ford dealers as Fords though they have the Fireman or Mountain logo on them and not the oval. Bimmer is correct. Although Mercury went away in Canada, these Grand Marquis were still Mercurys. They were sold at Ford dealers, but still had Mercury nameplates on the car. The VINs listed them as Mercurys (started with “2M” not “2F”) and they were registered as Mercury’s on their ownerships. Try a Carfax someday if you’re curious to find out what happened to this car or any of your old ones. I had a field day recently looking up my old cars to determine what became of them. Plenty of them are still up and running! As a big fan of Mercurys I was glad to see a COAL on one of their best models. FoMoCo should have produced these cars about 10 years earlier, but then I guess there were only so many buyers for cars like the Impala SS, or this Marauder at any one time….as the G8 proved. I own a 2009 P71 with 101K miles on it, so I was also interested in the trouble areas. Fortunately, my P71 uses a more common size of tire than the Marauder: 235, 55x17s, but I do understand the ignition system is a weak point on these, and I don’t expect I will ever personally change the plugs. Lucky for me, gas prices are falling so 16-17 city and 22-23 highway (on regular gas) isn’t the expense it was 10 years ago. I’ve only seen 1 or 2 Marauders, both black, I didn’t know there was a red….and must have forgotten about the silver and the blue colors. The Marauder’s rear tires are more common now as GM used them on the Camaro and the fronts have not been a problem. Now finding a model of tire that have both sizes is another story. Personally I don’t run stock sizes, I run 255/45 up front and 275/45 out back. Less height difference than the stock 235/50 and 245/55 combo but with a 300a model which was the early production w/o traction control it is not a problem. So they became more common after I sold it…figures. At the time it was only the BFG KDWS, and they made one batch per year of those 245/50. If you needed a replacement late in the year, too bad. Late in my car’s ownership it ended up with Kumho 255/50 out back as the other tires were out of stock everywhere. The stock size for the rear is 245/55. My fault, it’s been five years since I had to look for tires for it and I guess the size has gotten a little hazy! One other thing, if you want to dress it up a bit 05-14 Mustang wheels are a direct fit and because lots of people want to put “custom” wheels on them so they are cheap on Craigslist. I purchased a set of the Bullitt wheels for my daily driver P71’s winter tires for $50 for all 4 with center caps. I’ve purchased 3 other sets of Mustang wheels never paying more than $160 and some came with decent tires and/or the factory stainless capped lug nuts. An eight year old car with 115,000 is considered old and unreliable. Mmm, who would have thought while I drive 25 year old cars without a second thought. Minor items on what could be a future collectible is a small price to pay for the driving experience and enjoyment. Well, like a movie I liked the story but I didn’t like the ending. Yeah a radio and a couple of O-rings and an hour of work isn’t that big of a deal in the grand scheme of things. Yes the coils do eventually fail in the modular engine family. The quick diagnosis is to swap the coil that the miss fire code is for with another one. Reset the computer take it for a drive and if the code follows the coil you have your culprit. It could be the spark plug boot, which is available separately, but a visual inspection will reveal that though that is much less common than the coil failing. Somewhat ironically my current DD is almost 20 years old (you’ll see it in a COAL entry in a couple of weeks). I never considered the Marauder “old” and as time has told I was mostly wrong about reliability concerns. That was only part of it; fuel costs and wanting to buy the ring were also major factors. I remember you talking about this one in the past. Timely, in that I saw this 2008 Grand Marquis “Palm Beach” Edition at Strieter’s today. 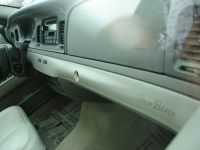 White leather interior. Ron Burgundy would approve! Interior. The textured aluminum trim on the dash and door panels is unusual, I’m used to seeing fake wood. That’s where mine had an oddball silver plastic with what they called a “dot matrix pattern”. It was supposed to suggest either carbon fiber or aluminum, but didn’t really succeed at either one. If that’s actually aluminum they’ve upped their game in the interim. I wonder if it’s not a slightly nicer plastic though. Palm Beach logo. Regional special, I assume. Didn’t know about this….. Even though Buick already covered it decades before! A mint Palm Beach Buick passed me in traffic recently. For a “special” it worked. It has been on E-bay many times. You tell my story well! Well, mine is a little different. I found a blue one in early ’04 with just 13,000 miles on it. Between driving it to work year round ( traction permitting) and ferrying our 3 boys to daycare, mine got supercharged and became “a keeper”. 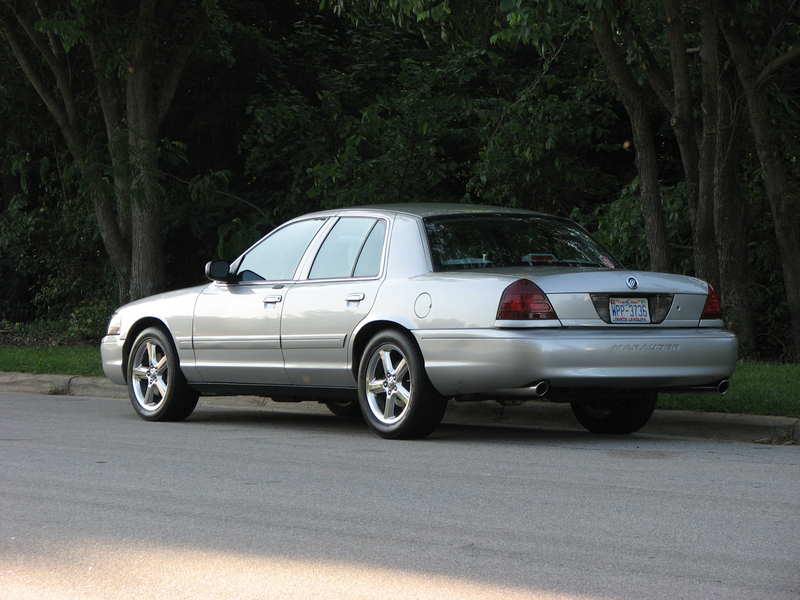 We semi-retired it in 2012 and switched to an extra-boosted Lincoln MKS… great car too, but never matched the Marauder’s swagger. The Lincoln has since been traded on a 6-speed 5-series, but the Marauder is family and won’t be going anywhere. Someday you’ll find another, but it’s better to have the girl! I love the Merc Marauder. 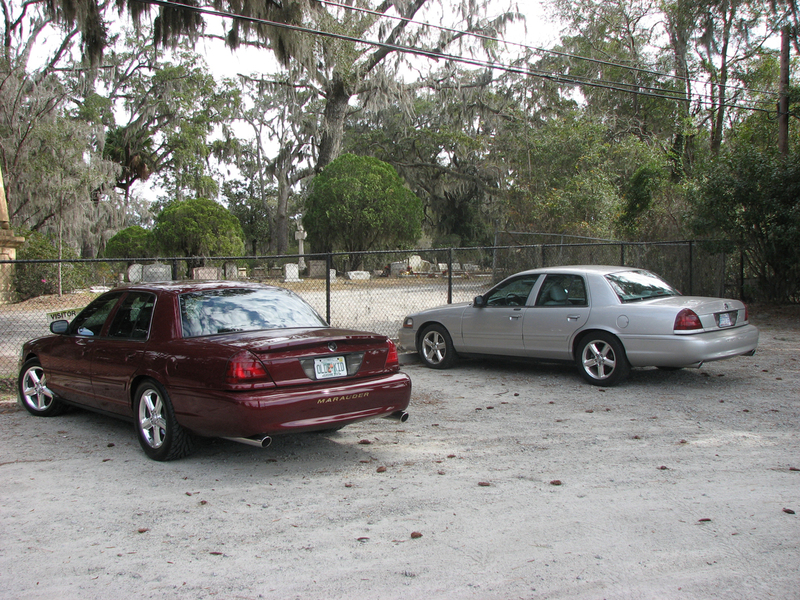 I have a collection of eight cars, one of them being a 2004 Mercury Grand Marquis. The car has 225,000 miles in it and the only problem I’ve ever had with it was that I had to replace the trans at about 200,000 miles. It’s a great car. It cruises great and has great take-off speed. But…someday, I’d like to own a Marauder. As a former ’87 MGM LS owner, I had my eyes on the Marauder. Great write up, glad you enjoyed your time with it. All right, I’ll calm down now. Seriously, I’ve always liked these old brutes. I understand why many folks don’t, and that’s okay. But I swear, I do love my 2008 Grand Marquis LS with a mere 81,000 miles. and I hope to keep it for years to come. Great story. I’d imagine that you were bummed to sell it…….they’re really hard to find. I can imagine the amount of comfort that it had, along with the power that it packs. There’s something awesome about driving a bigger car that shouldn’t be going as fast as it does, like the Marauder or a Mark VIII. I have a Thunderbird Super Coupe that is pushing 15 psi with some mods, and is at about a 5.9-6.3 0-60 (depending on traction). I’m not sure what the MPG is, but it must be north of 17 or 18 in the city……it’s noticeably high.